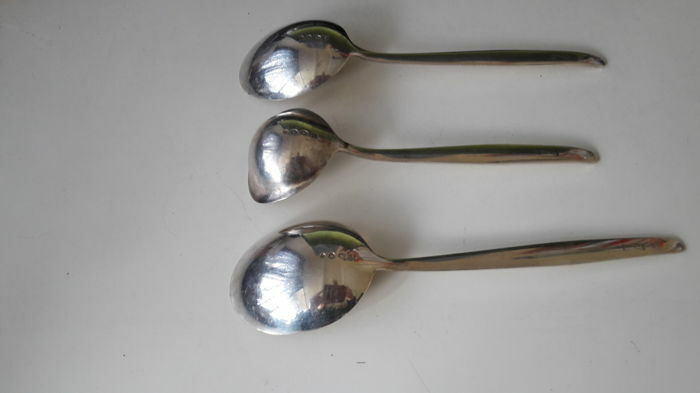 The silver is in used condition. 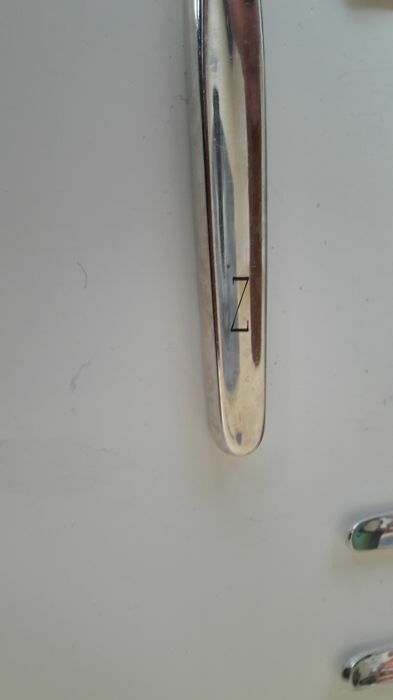 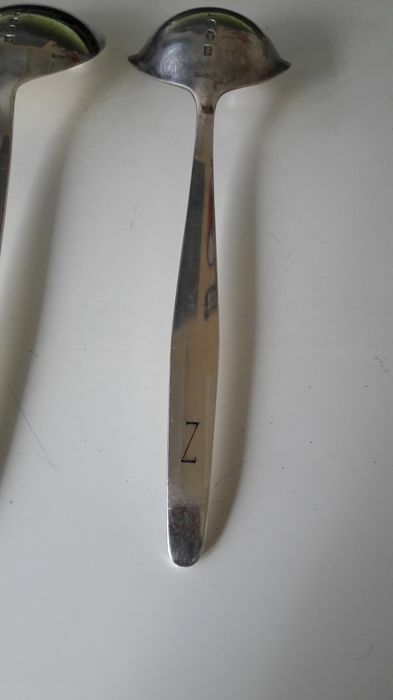 Most pieces are engraved with the letter Z. 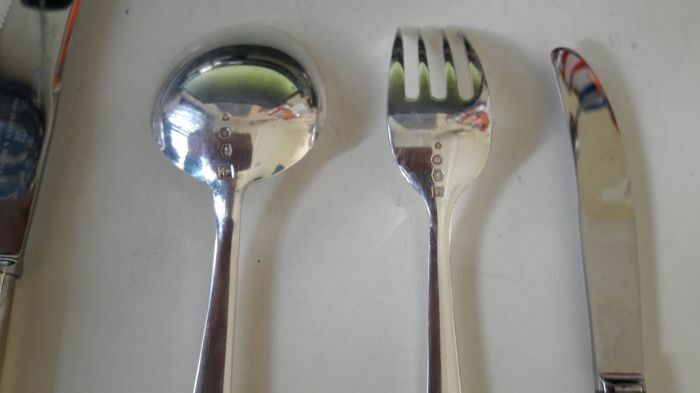 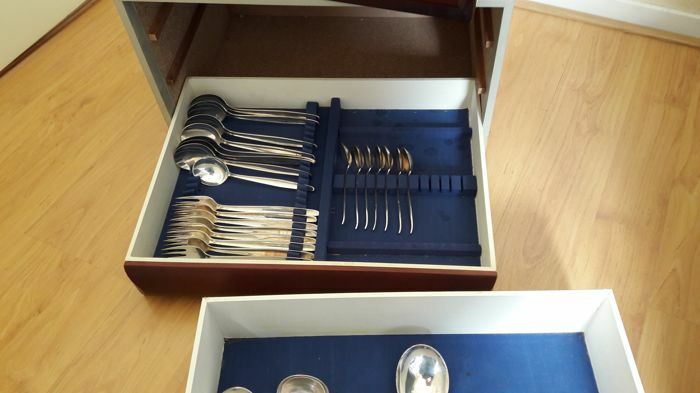 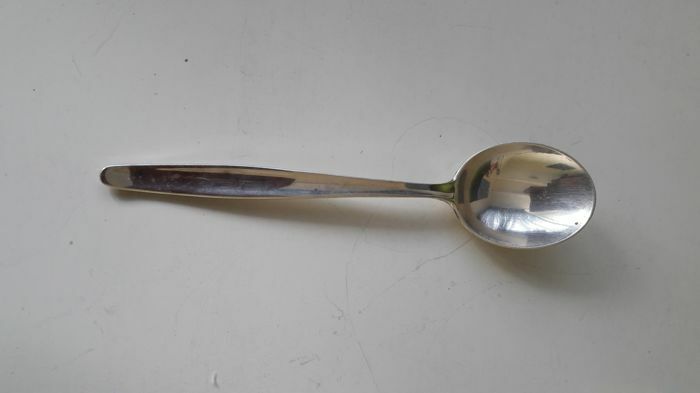 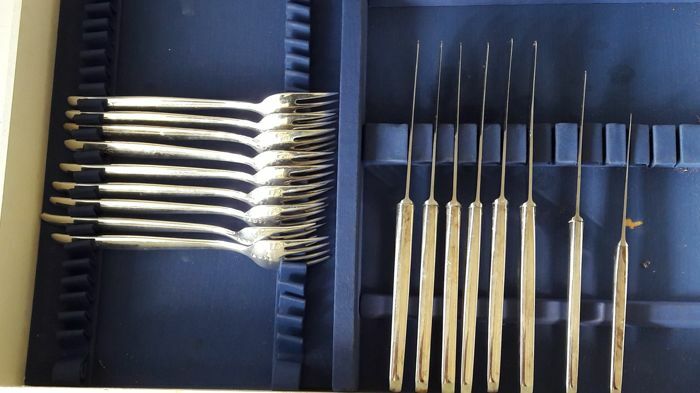 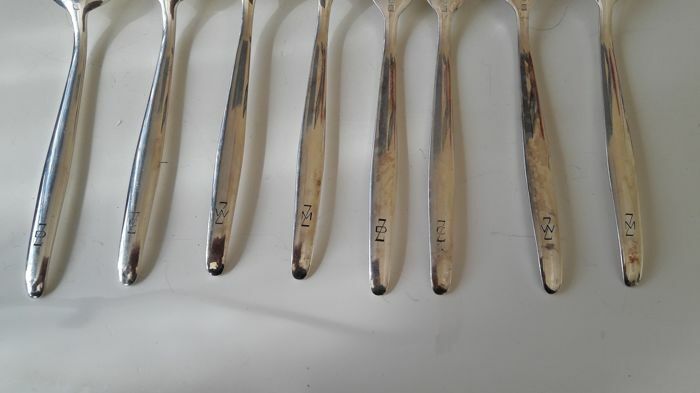 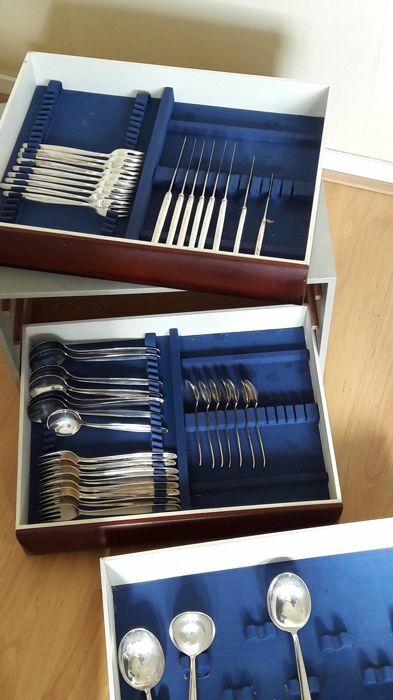 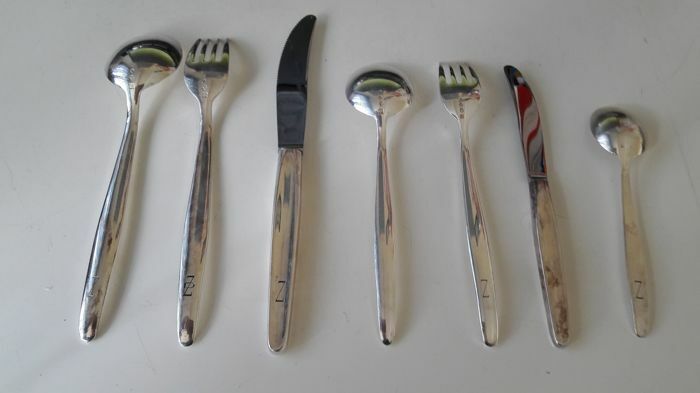 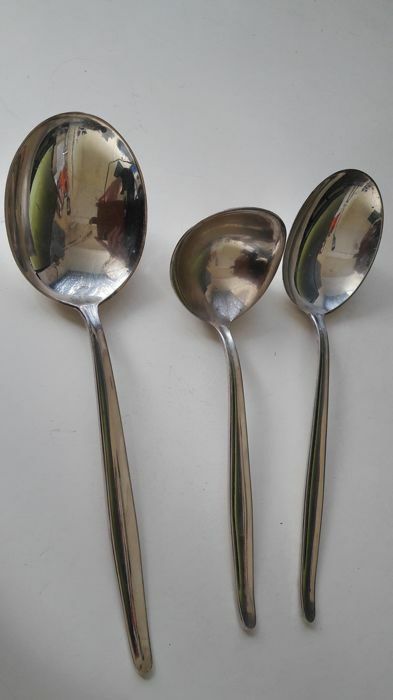 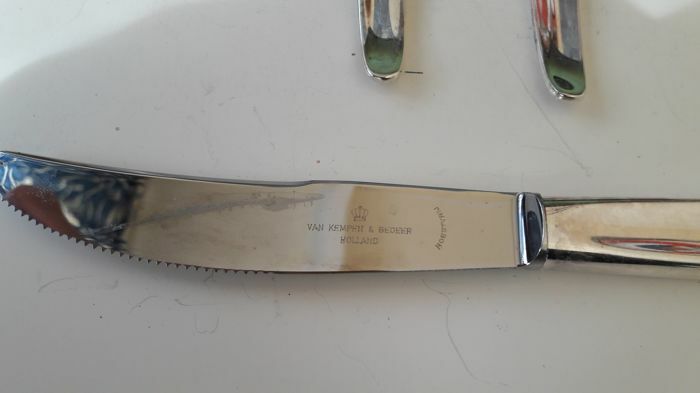 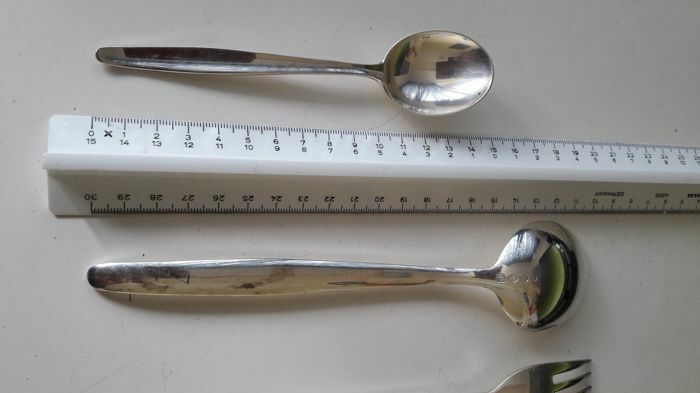 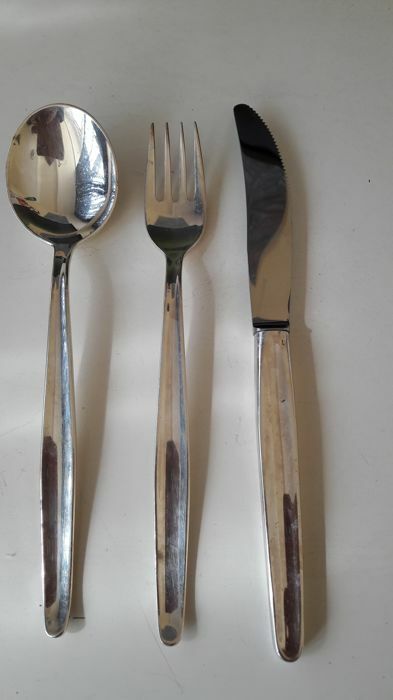 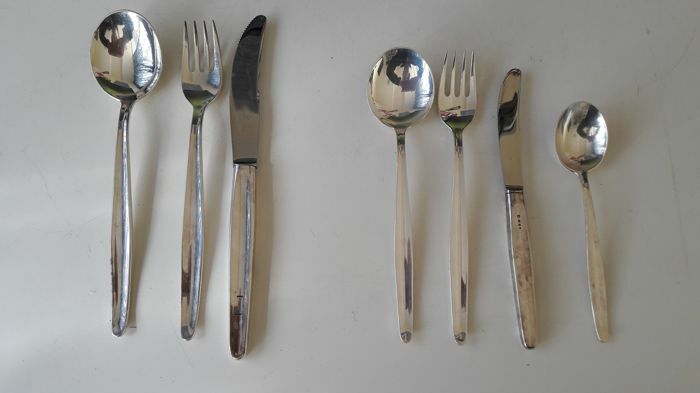 4 spoons and 4 forks have also been provided with de letters D, C, W and M.
All was purchased on February 6th 1966 at Begeer van Kempen en Vos in The Hague.